For the second year in a row, the Red Sox season ended with a loss in the ALDS. Fenway Park has received approval from Boston to install dugout-style seating, but the plan still needs be accepted by Major League Baseball. According to the Boston Herald, the proposed seating will deliver a player’s-eye view of the field for those along the first base line. The seating area would be partially below ground and have stools and a railing for refreshments. It’s not clear how many seats would be provided, but the Herald reports plans show as many as 25. MLB needs to determine if the seating would intrude on foul territory. 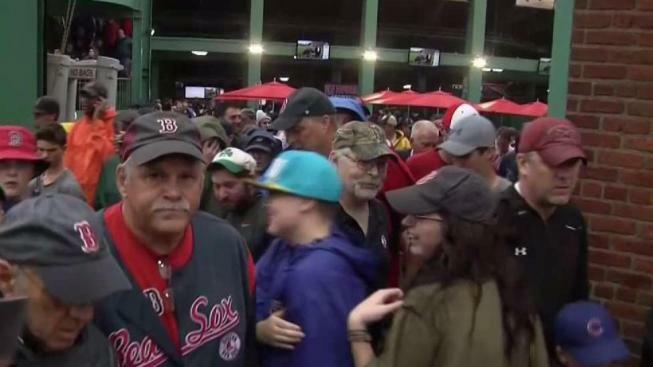 Fenway Park is still in the process of determining if they will add more protective netting to the field after a woman was struck with part of a broken bat in 2015. The park recently installed a new tavern, added new food items and added more seats for the 2017 season.